Development and design for users | The reason why everyone selected TAIYO | TAIYO KIKAI LTD.
We realize the requests from customers. 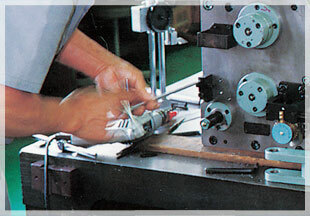 Our company keeps the manufacturing of special machines which the customers can survive in the severe market competition in mind. 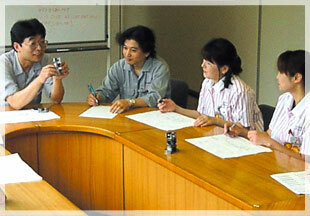 In our company, sales staff and four sales engineers visit to customers and realize the requests from customers. Expert designers discover the best method. All designers of engineering department in our company design with 3D-CAD and accurately reflect the requests from customers to dwg. 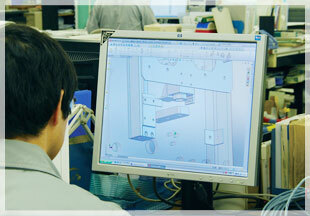 And, we consider the ease of use for customers in the first place and prioritize the making of machines. The wisdom between people causes good products. In our company, we make the group in every ordered machines and discuss with all members of the group by focusing on the manager and keep the making of good products in mind.